The current Village Hall used to be the school. 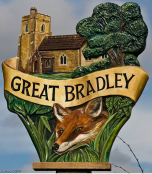 The first record we found for a school at Great Bradley itself dates from the early eighteenth century, although during the reign of King James 1st, Sir Stephen Soames built a school in Little Thurlow to teach the children of the Thurlows and Bradleys. 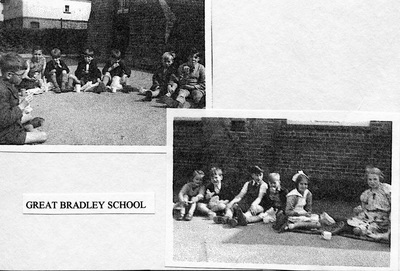 The Great Bradley school was part of a wider charity movement, founded in 1698 as the Society for Promoting Christian Knowledge, at home and in the colonies, to provide free education and sometimes clothing for the children of the poor. The then rector of the parish. Rev. John Cooper, was the driving force behind the creation of a school to teach the poor children of Great Bradley. 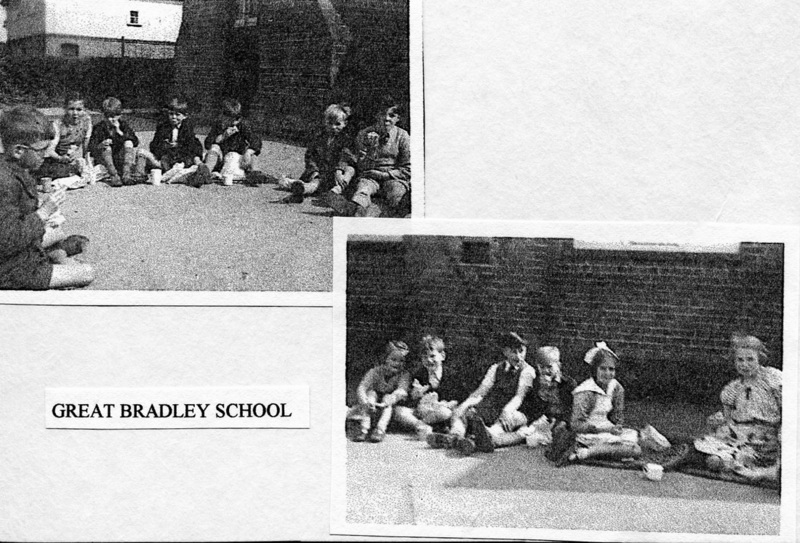 We have no record of where the Great Bradley school was situated. The school survived on money donated via subscriptions and Communion collections. In1709 about twenty-four children attended the school where they were taught to read and number attending had dropped to about sixteen. It appears that the school initially flourished, but the death of its main benefactor in 1714 saw a downturn in its fortunes. It was not until the 1870 Education Act which saw the setting up of education boards that plans were made for a purpose-built school in the village. It was proposed to build a school and a mistress's house. In the event, only the school was built. The project was financed by private donations and a parish tax of one shilling in the pound. While work was being carried out, temporary accommodation was found in a farmhouse. The school opened in April 1880 on the site of the present Village Hall, and there were two rooms with the toilets housed in a separate building. 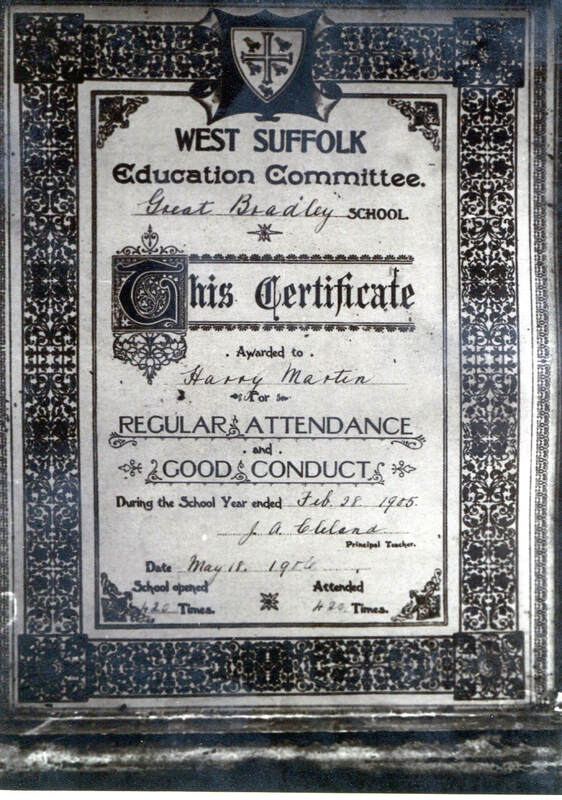 The school, which was Church controlled, is first mentioned in 'White's Suffolk 1891-2' as 'an elementary school, attended by about 40 children'. When the school closed nearly one hundred years later, little had changed. Initially it was agreed that the school year would be forty-two weeks long. Several villagers who attended the school remember taking time off to help with the harvest. One headmistress closed the school mid-term so that she could attend the Chelsea Flower Show. 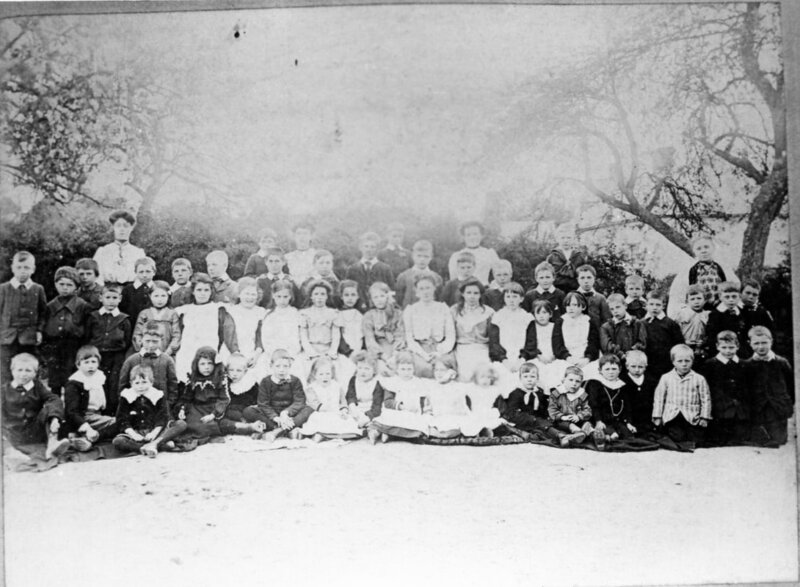 By 1916, it was attended by 74 children, when the schoolmistress was Mrs. Annie LacKean; she was succeeded in time by Mrs. J. Angood. 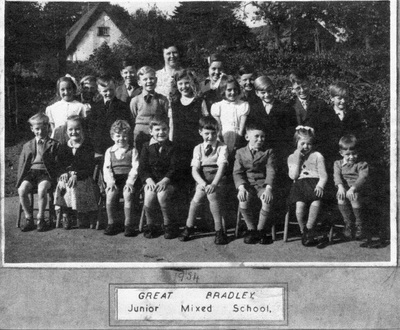 Children from Little Bradley, Sipsey Bridge and from East Green (at one time as many as 45 children!) also attended Great Bradley School and they would be taught in one big and one small classroom by two teachers and a monitor. Most children left at the age of 12-13 years after they had passed the Fifth Standard, but there were some children who were able to pass before the age of 13. 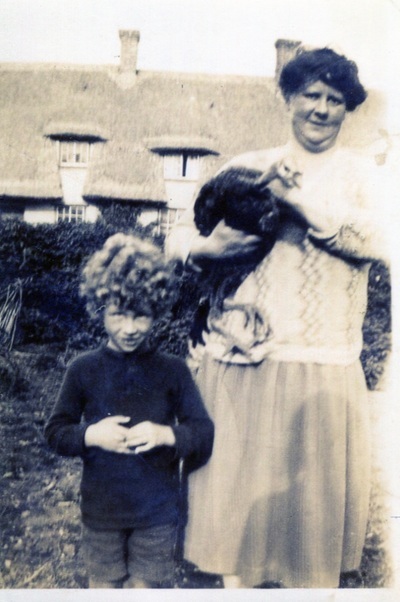 Mr. Harry Martin (Matthew's Farm) remembers a girl called Norah Claydon passing at the age of 10. The monitor was always an exceptionally able child who was chosen to stay on at school, but acted in a supervisory capacity only. Naturally, all children walked to school, and most of them brought food to eat at mid-day. For many, their meal consisted of bread-and-butter and jam with a drink, out of the brook. During the Second World War, Mrs. Martin cooked 44 school dinners on a 3-burner oil stove at her home, and she would wheel these meals down to -the school en a trolley. After this time, meals were brought out to Great Bradley by the Education Authority and they were eaten in the old Primitive Methodist Chapel. Because of the lack of transport and opportunities in the area, most girls, when they left school, went into service, and the boys into farm work. Boys were paid something between 10s and l2s per week but girls were paid only 2/6d. The occasional boy would work outside the immediate area; for instance Mr Martin's uncle walked to Haverhill and back each day, and he was obliged to commence duties at 6 a.m. There were short cuts over foot- paths, but nonetheless the journey would take a good hour to one hour-and-a-half. The school was considered to have a very high standard of education. Each year there would be at least one pupil who passed the Scholarship at the age of 10 or 11, and those pupils would go on as boarders, the girls to the East Anglian School and the boys to the Edward VII School, both at Bury St. Edmunds. (In more recent years, the East Anglian School and Culford School have amalgamated to be known as Culford School). The trusteeship of the school was transferred to the Diocese of St. Edmundsbury and Ipswich by means of a scheme under section 86 of the Education Act 1944, dated February 1961. Because it was a Church school, the children were regularly inarched to certain services. The benefit of this attendance was, as one pupil remembers, getting the rest of the day off after the Ascension Day service. Over the years, the teaching materials changed from chalk and slate to pen and paper. Some villagers remember the use of sand trays in the 1940s for letter writing. 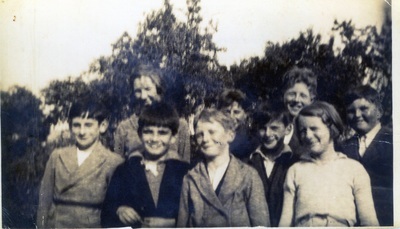 Prior to the war, the children had games lessons on a field in Evergreen Lane. After the council houses were built they used the field which is now the Clarendale Estate. 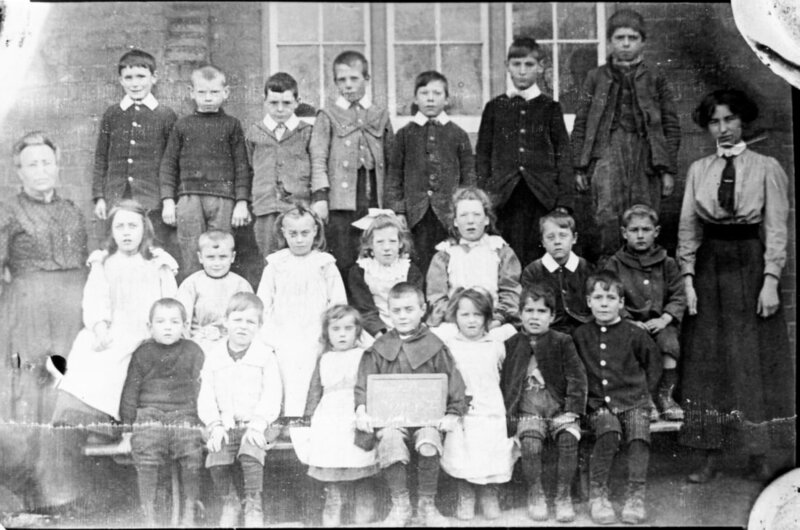 When the school opened in 1880 about forty children attended, but by 1916 numbers had increased to seventy-four. The children were divided into two classes with two teachers and a monitor. There then followed a general decline in numbers. This was reversed during the Second World War when evacuees from London brought the school to near capacity. Left to right back row Dawn Goody Chris Grey. Miss Rolfe. June Tracey Julie Mizon ?? Do not know, Shaun Morley Middle row Michael Smith (I think) next boys dad was shephard but can't remember his name. Karen Goody. Robert Champion. Vaughan Goldsborough. Front row. Colin Potter. Nigel Goody. Steven Smith. Wayne Goldsborough. The last image is reporting on the school closure. 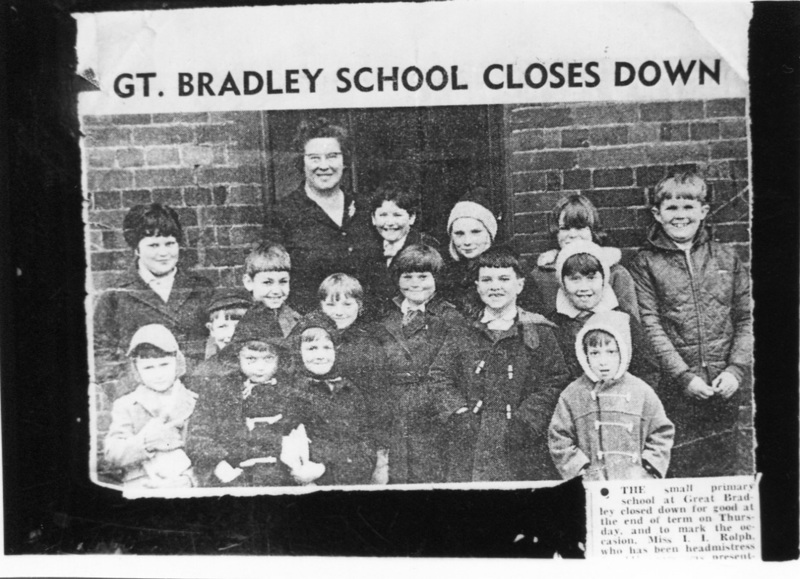 The caption is cut off but says "The small primary school at Great Bradley closed down for good at the end of term on Thursday, and to mark the occasion Miss LL Rolfe, who has been headmistress ...."